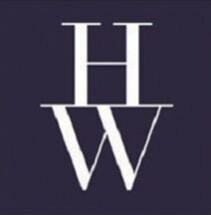 For more than 40 years, our full-service law firm at HoganWillig PLLC has offered dedicated legal counsel to clients in Amherst, New York. By providing customized guidance and dedicated advocacy to individuals, businesses and institutions, it is our goal to help those we represent achieve effective solutions to their legal issues as efficiently as possible. Our experienced attorneys utilize a team approach to provide any general practice legal assistance our clients need, including civil litigation, medical malpractice, divorce & family law, real estate, criminal defense, traffic law, business law, elder law, estate planning and personal injury. By working collectively, we have the full range of experience and extensive knowledge needed to handle the most complex cases. Our goal is to be the only law firm our clients need to hire. We know staying up to date on the latest strategies and techniques is essential to providing innovative solutions. Our firm stays informed of and invests in the newest technology to best serve those we represent. Striving to make the legal process as stress-free and straightforward as possible, our team at HoganWillig PLLC is committed to serving clients throughout Western New York. Our firm believes in providing answers to legal questions without the dread of an extensive legal bill afterward. For the convenience of those we represent, our law firm accepts credit cards.